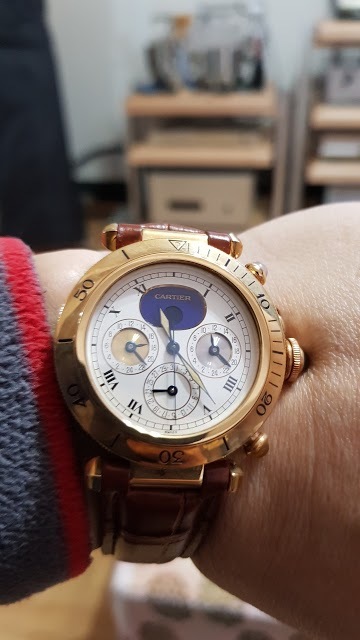 This is the Cartier Pasha 3 time zones watch which I have for over 25 years. The movement is made by a famous watch maker Gerald Genta. Just to share with all who love Catier.